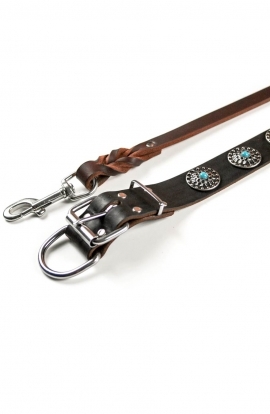 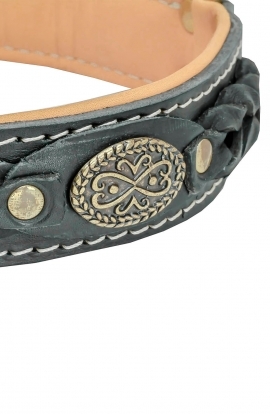 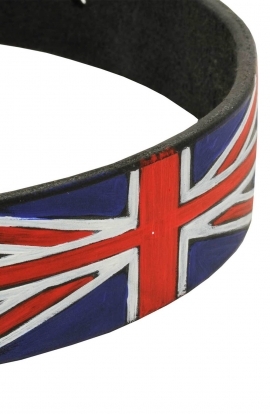 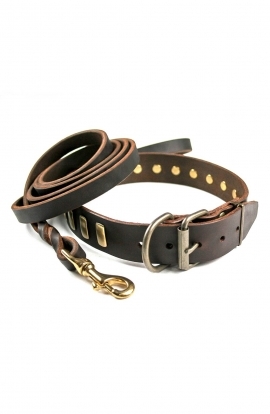 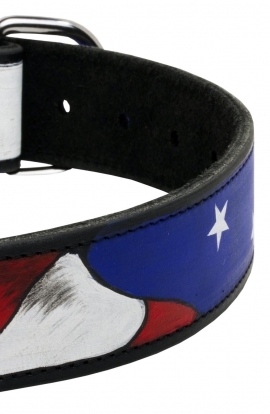 A large collection of handcrafted leather dog collars. 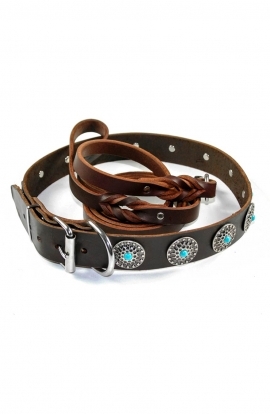 Here you will find only the handmade collars for large dog breeds. 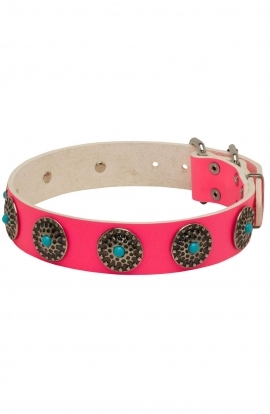 Our designers created the collection for your pet that includes spiked, studded, classic, white, handpainted, pink dog collars and more. 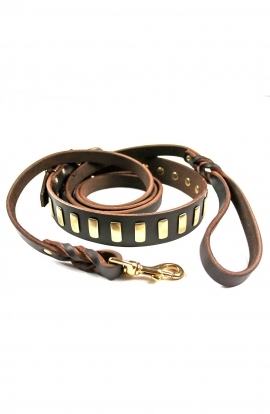 Have a look at this ¾ inch wide Leather Dog Collar, which combines in itself high quality, reliability and attractive design that will surely stress your pet’s beauty. 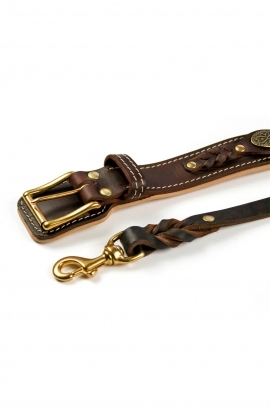 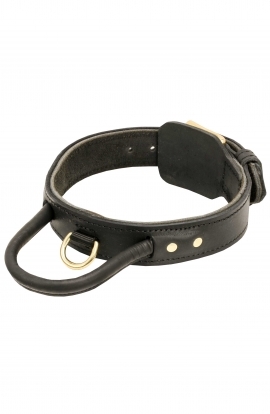 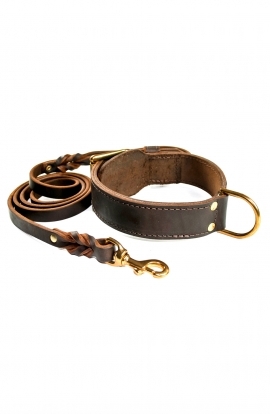 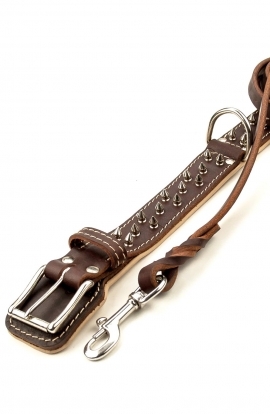 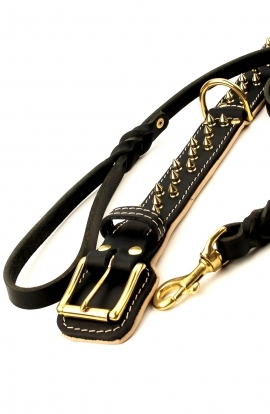 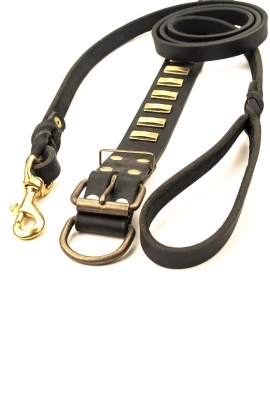 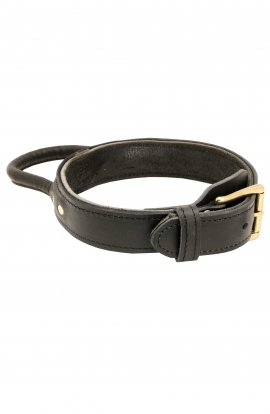 Uncompromising quality, incredible comfort and great serviceability are the distinctive features that make this gorgeous leather 1 ½ inch collar decorated with massive brass plates your irreplaceable assistant in everyday activities with your precious pet. 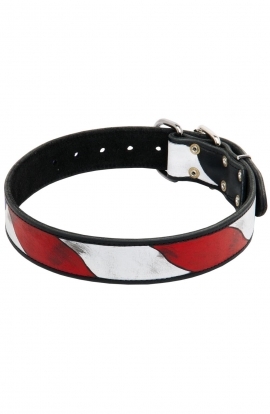 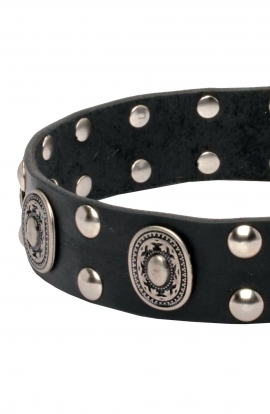 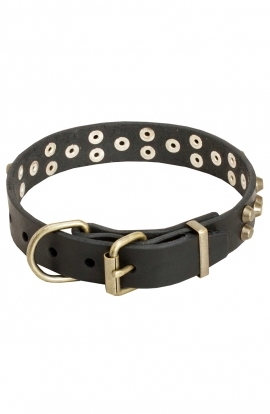 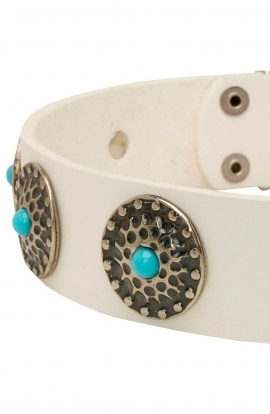 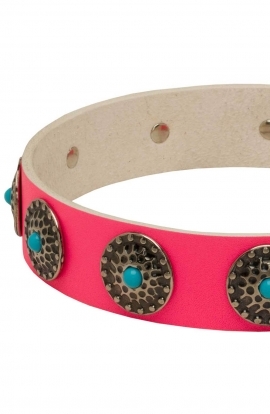 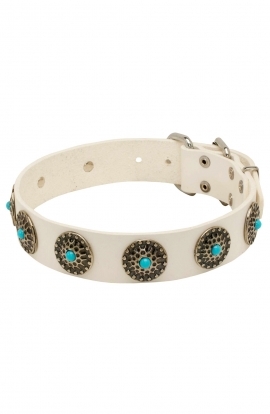 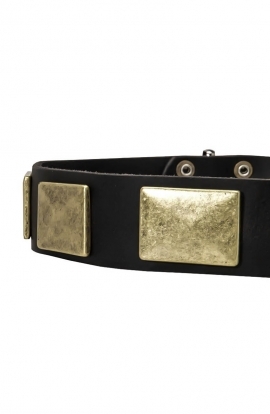 This is the collar that is fashionable and made with high quality, lasting materials. 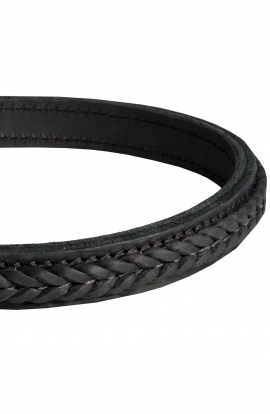 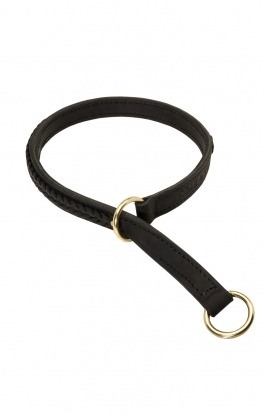 Two ply smooth genuine leather, shiny brass fittings and exclusive braiding are not only beautiful elements, they are also very reliable parts, that make this dog supply timeproof. 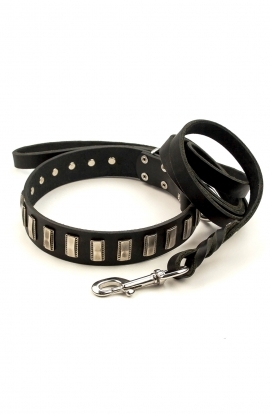 Beveled edges and soft interior provide your pooch with real comfort whatever you do.